I heard a lot of times from many people that whey protein is not safe so I will clear this point today. many of them say that taking whey protein is harmful but it is really good for your body and today I want to make it clear that whey protein is not harmful. it is the best form of protein source in the world. So let's get into the science of whey protein. How are whey proteins made? Whey which is found in every house because it is used to make paneer when paneer is made from milk whey is the byproduct formed and most of the protein supplements are derived from whey and whey proteins are made through the process called microfiltration. microfiltration involves separating the liquid part of whey from the solid part of whey which forms the basic raw material for Protein Shakes. So, ladies and gentlemen, should you take the protein supplement? 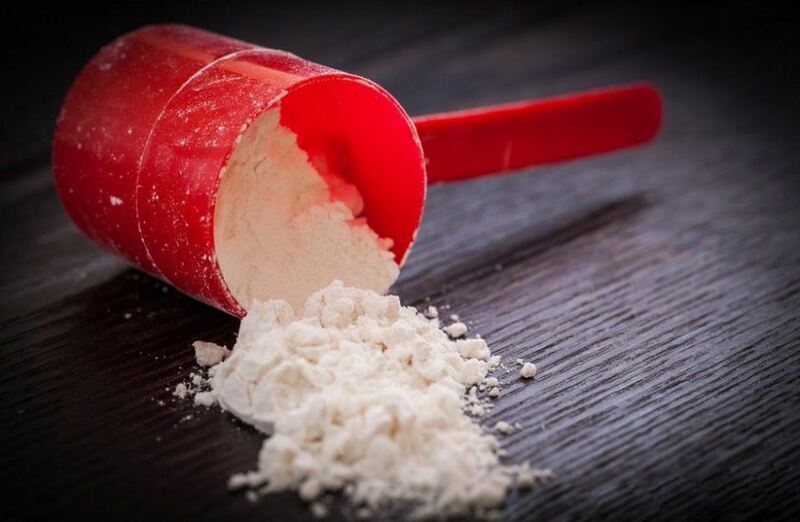 And the answer is 'yes' you should and 3 reasons why you should consume whey protein. Every form of protein in the world consists of something called bio value bv it represents how well your body can observe the protein. the concept of bv came before whey proteins for example egg protein is taken as a basic reference standard for all other proteins because it considered as the best protein source because it has a bv value of 100 whereas milk protein has a bv value of 94 and whey protein has a bv value of 104 that means greater than booth so scientifically whey protein is the best food in the world if you wanna grow lean muscle mass and work towards better health whey protein is the best option. Protein Shakes are consumed mainly in the liquid form when compared to the other forms of protein like eggs milk dairy beans these all are solids they take time to break down and then they get absorbed by the body whereas as protein Shakes on other hand will be observed immediately after drinking because it's already broken down so just after workout when your body needs immediate refuelling then protein Shakes are the best option because they get absorbed immediately by your body it reaches your muscles faster than any other source of protein. In order to grow any form of lean muscle mass over time you have to increase the total amount of protein intake and it becomes hard to consume a large amount of chicken or eggs and in the other hand whey protein where it is easy to consume so let's break it down 1 scoop of whey protein have about 20gms to 25gms of protein and one whole egg has 6.5gms of protein so as small scoop of whey protein is equal to protein content of 4 or 5 eggs so many people start taking Protein Shakes for this reason and also they don't take time to make and even take less time to consume if your taking whey proteins for the first time so I personally recommend to go with simple whey protein because to get best results you need to consume for a long time so it is the best to go with the cheaper option that is simple whey protein. So I think you have well educated about whey protein if you have any doubt you can ask me by commenting below.